I have been arguing for over a year that most polls and pundits are either missing or dismissing what will be the deciding factor in this election: the youth vote. Most young voters are never called by pollsters. 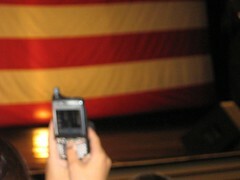 We have cell phones, not land lines; we are first-time voters; we are independents turned democrats. 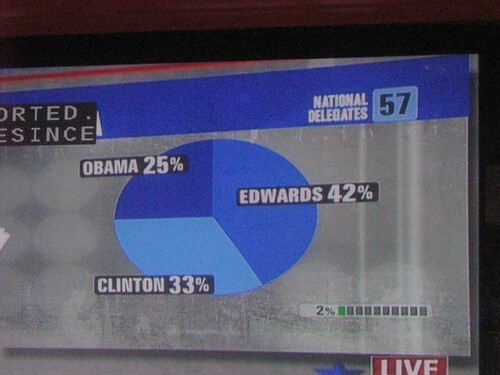 Therefore, we are mostly unrepresented by the polls and invisible to the news media. We are the voting bloc that is consistently written off. We won't show up. We are apathetic. We'll be watching football. This is the way it has been in recent history, and this is the way it will always be. So the argument goes. Yet if this is the conventional wisdom, the American establishment is in for a rude awakening on January 3 when the headlines go worldwide that a former community organizer, an African American with an unusual name and the most improbable of stories, is on his way to becoming the next president of the United States. This is just an excerpt but it's well worth reading the whole thing as Joe Vogel explains the reasons for his conviction. But then again the moment of truth --on Iowa, that is--is less than 24 hours away.